Best Home Small Business Printer – where do I find one? The problem these days is that there are too many choices. While a color laser printer used to be out of reach for home and small businesses they can be had for a reasonable price these days. The initial cost of the Best Home Small Business Printer is just the beginning. Keeping them in ink or toner can be expensive. Adding to the confusion of finding the Best Home Small Business Printer is all the bells and whistles that are available. smartphones (e.g., iPhone). Not all printers make this easy. 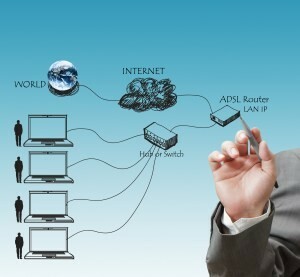 Some printers may require mobile devices to print to the cloud (Internet). While this can be useful we want our Best Home Small Business Printer to connect directly to. Some may require you to print to their cloud or allow popular clouds like Dropbox, Google Drive, and OneDrive. Printing to the cloud may not be a concern if you have high-speed Internet but it might be a problem if you depend on a cellular data plan to upload the files. 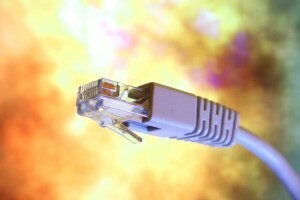 There are also security concerns for uploading sensitive documents to the cloud. 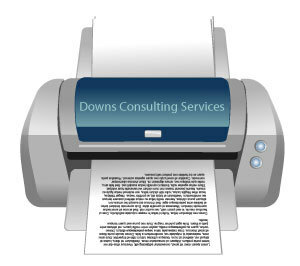 Downs Consulting recommends a wireless printer that doesn’t require printing to the cloud. We prefer our Best Home Small Business Printer to print directly via WiFi. Printing to the cloud is a nice feature but we don’t want all our print jobs to go through it. power and WiFi reception and you are “good to go”. The printer forums are littered with complaints about printers connected or rather not connected via WiFi. It’s common for WiFi to drop the connections. It’s similar to mobile phone connections. Dropping a connection in the middle of a big print job could cause problems. Maybe you would have to start all over again after waiting minutes for it to enter the print queue. The reality is that WiFi is not as dependable as an Ethernet connection. Our advice is to use a wired connection if at all possible. This requires an Ethernet connections which some models may not have. 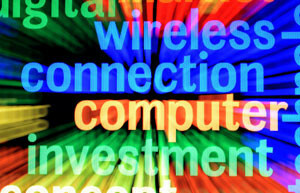 can still use WiFi to connect to our mobile devices. Downs Consulting recommends a networked printer that is not tied to a computer. Many printers limit their functions if connected via USB. Some printers may not have this capability. Likewise, a huge printer is not going to very welcome either. While there are plenty of small printers they tend to skimp on some features. A small printer may be better for a Home user that doesn’t need all the “bells and whistles”. When we settled on our Best Home Small Business Printer we still had to convince our office that we had room for it. replacement cost more than the printer. supplies that don’t last as long as the standard capacity. Usually, you can find high-yield supplies that are a better buy in the long run. It also saves on the aggravation of running to the store for supplies. Some printers may refuse to work at all if one of their cartridges are low. This is particularly frustrating if you don’t need that cartridge for the job you have queued up. New Color Inkjet printers can be up to 50% cheaper to operate than a color laser. and buyer or editor opinions. Preferably the site has lost of reviews so the overall score can’t be skewed one way or another by a few one-sided reviews. If there are not many reviews you may not get an accurate assessment. Likewise, the site should not have a vested interest in the sale of the product and reviewers should be able to post sincere remarks. A lack of disparaging or complimentary remarks could be a sign of bias. Consumer Reports is a great resource for buying appliances like this but you need a subscription to see their reviews online. 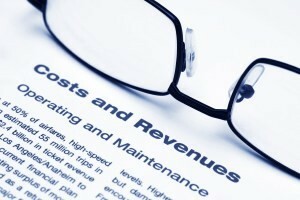 They compile statistics on the main categories including maintenance cost, print quality, photo quality, and speed. You can usually get a free trial for online or magazines. The magazines come with a buyers guide and is a good resource in itself. The Consumer Reports interactive video below offers some good advice. You can click on the sections you are most interested in. 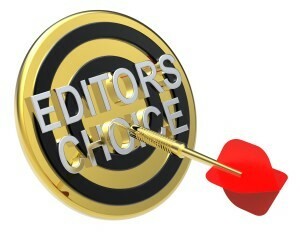 Some websites like PC Magazine have editor and user reviews. Amazon has good prices and user reviews. No printer is perfect in every way and we found bad reviews on the best-rated ones. Some bad reviews may have been from lemons or simply technical errors. Some may have had issues with their networks. Some may have been malicious. not recommend a color laser as a Best Home Small Business Printer. 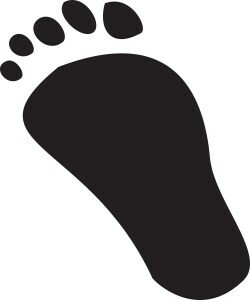 If you are only concerned about printing text then you may want to consider buying a monochrome laser printer. Text quality has long been the domain of the laser printer but even here inkjet printers are competitive with text print quality and speed. For us, all roads point to a Multi-Function inkjet printer which is somewhat disappointing. technology has become competitive in all respects. 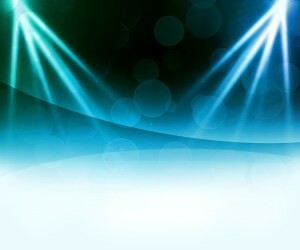 We shouldn’t complain since keeping up with multiple toners for the color laser is not a task we would want. Inkjet ink itself is expensive enough. If you find a printer that is perfect in every way then it is likely a budget breaker. Consequently, you have to decide what’s the most important features you need and what you can do without.